A quick wallpaper, not my usual style of walls, was trying to experiment a little with the bleach style walls.. let me know how i can improve on it. lol so chibi. but thats what attracted me in the first place. i think if ur gonna play around with bleach, u can either go this chibi way, or the "cool" action things...so what i think is that ur wallie is not bad. good job. i like it,reminds me of all the humor in bleach. Very cute. Perfect situation for these three characters. I agree that the chibi form work svery well here. I like the background as well. It isn't too complicated, but it adds to the scene. Your shading is very nice and really makes this work. 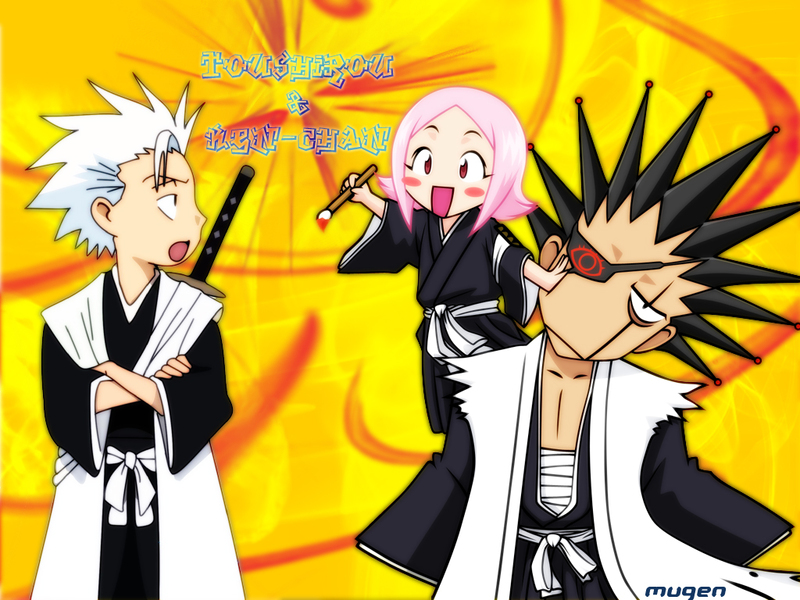 Not sure if this can be improved on, I love Kenpachi's look though, perfect! kawaii chibi. it's sooooooooo cute ^_^ and funny. thanks so much! Quote by Spyderzi like it,reminds me of all the humor in bleach. I like the bright & cheery colours. Thanks! hehehe, so cute! thanks for sharing!